What Is a Limited Liability Limited Partnership (LLLP)? There are a number of alternatives to choose from when forming a new business entity. Corporations, partnerships, limited liability companies, and cooperatives come in a variety of different permutations, including limited liability limited partnerships (LLLPs). 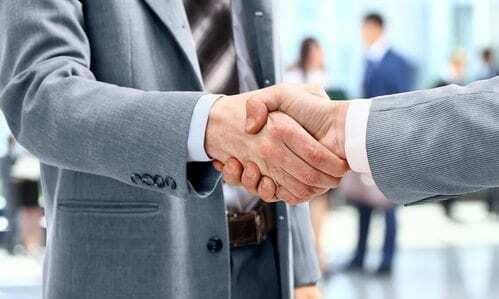 What Is a Limited Liability Limited Partnership? A limited partnership (LP) is a type of partnership that has one or more general partners, and one or more limited partners. The general partners manage the LP, while the limited partners are only involved financially and are excluded from management. A major disadvantage is that general partners are jointly and severally liable for the partnership’s obligations, although limited partners are protected from liability (unless the limited partner executes guaranties, etc.). In the past, some business owners created an LLC or corporation to serve as the general partner to eliminate risk for general partners. A limited liability limited partnership (LLLP) eliminates the need for this strategy. An LLLP is a type of limited partnership, however, unlike in an LP, LLLP general partners’ liability for LLLP debts or obligations is limited. An LLLP can do anything that a regular LP can do. General partners have limited liability, and partners are protected from liability if the partnership is sued. The need to use a limited liability entity for the general partner is eliminated. Some states do not have an LLLP statute, which means they won’t recognize the asset protection it provides. Some states do not allow for the formation of an LLLP. LLLPs are relatively new, which means they haven’t been thoroughly tested or proven their reliability in a variety of situations, and they don’t have a large body of case law interpreting and applying law to them. LLLPs are not tremendously common because they haven’t been around for as long as other commonly used entities (e.g., corporations), and some state’s laws do not provide for an LLLP. There can also be issues if an LLLP formed in one state operates in a state that does not recognize LLLPs. If you want to consider an LLLP, consult with your attorney to ensure that you follow your state’s laws and that you select the appropriate alternative provisions available. Partnerships, LPs, and LLLPs are very flexible, and there are many considerations in setting them up and drafting the partnership agreement and other documents involved. In addition, California recognizes LLLPs formed in other states. As time goes by, we will likely see more states joining this list and enabling the formation of LLLPs. To determine whether an LLLP suits the structure and goals of your business, consult with Carnahan, Evans, Cantwell & Brown, P.C. Your attorney can help you compare all of the business entity options available to you, including the somewhat similar limited partnership (LP) and limited liability partnership (LLP). Then, they will help you set up a business structure that works for you and your business goals. When you’re ready to get started, give us a call at 417-447-4400.